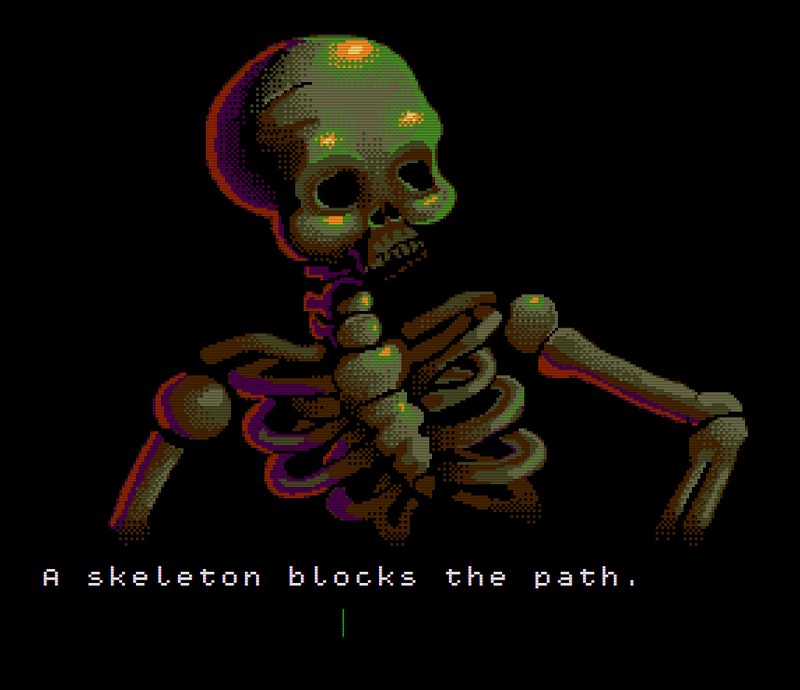 Another game released by Adventuron this month and no not a simulation, is the Illustrated Text-Based Puzzle game ' The Path '. Yes indeed it's time to put aside the sim and look towards this rather unusual game, as in the The Path you will encounter a series of challenges, containing situations and actions they may be very dangerous in real life. For me personally I really tried to like this game but nothing I tried to seem to work on that door in the very first challenge in the game. 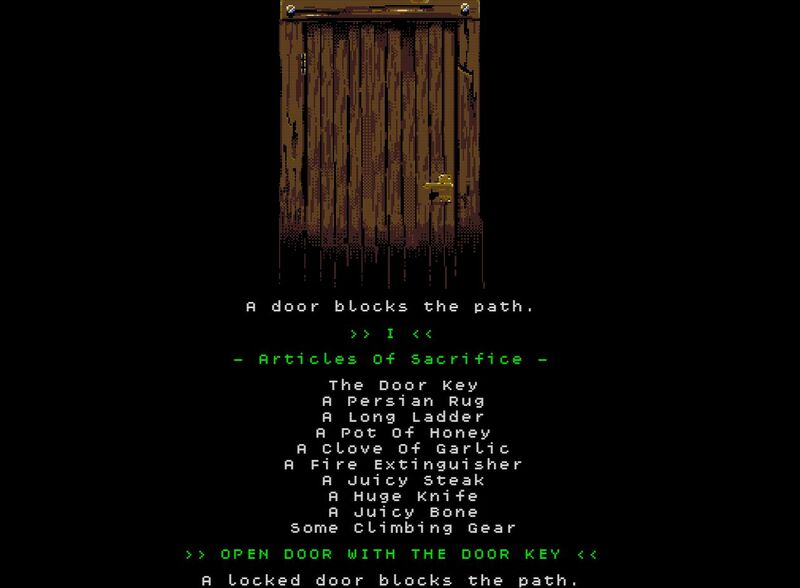 Apparently each object can be used in certain situations, but when I used the key on the door, it just responded with " That's not the path ". If however I used open door with the door key, it still responded with the door being locked and that it blocks my path. So yes the game sounded very interesting, but there's a limited amount of commands available to the player... Still if anyone else wants to have a go it's freely playable online below!